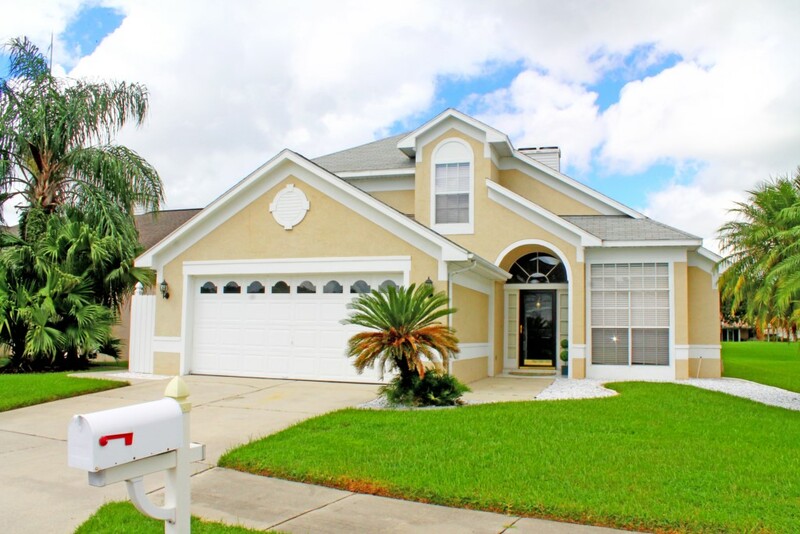 This beautiful 3 bedroom 2 bathroom home is decorated to a high standard. Nestled inside the gates of the Ventura Country Club this 500+ acre gated golf resort community features a beautiful clubhouse with a restaraunt and bar, small meeting spaces and gym facilities. 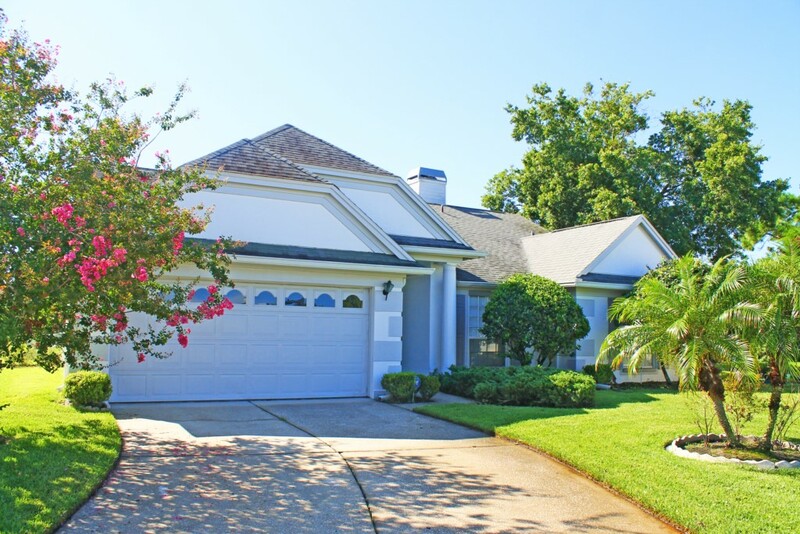 Inside this gated community also features an 18 hole golf course, pro-shop, lake with sandy beach front area including a picnic area, tennis courts and much more! TALK TO US ABOUT DIFFERENT LENGTH STAYS! This beautiful 3 bedroom 2 bathroom home is nestled inside the gates of the Ventura Country Club. This 500+ acre gated golf resort community features a beautiful clubhouse with a restaraunt and bar, small meeting space and gym facility. Inside this gated community also features an 18 hole golf course, pro-shop, lake with sandy beach front area including a picnic area, tennis courts and much more! When you stay at our 3 bedroom, 2.5 bath villa in the Ventura Country Club, you’ll get the chance to experience Orlando like a local. With convenient access to the Orlando theme parks and downtown, and plenty of on-site community amenities, you’ll never want to vacation anywhere else. You’ll feel safe and secure in our 24-hour gated and manned neighborhood with activities galore. Club Amenities: 24-Hour Manned and Gated Community Golf Course Restaurant and Bar Junior Olympic Swimming Pool and Spa Banquet and Event Facilities Property Amenities: Full-Size Appliances Breakfast Nook Gas Grill Loft Space with Office Free Wi-Fi Large Screen TVs Lanai A/C Washer and Dryer 2-Car Garage Whip up a meal for your hungry guests in the modern and updated kitchen complete with full-size appliances and bright and airy breakfast nook. Or, keep it simple by throwing some steaks on the outdoor gas grill as you watch your favorite shows. You can dine outside in the screened-in lanai or head inside to the six-person dining room table. Get together for a game night or movie marathon in the great room with cathedral ceilings, 55” TV and huge cozy sectional. Fun is the name of the game in Orlando, but if you do need to get some work done, the house has free Wi-Fi and office space in the loft area. Other convenient amenities include A/C and washer and dryer. Rest up in the chic first-floor master bedroom that boasts a king bed, modern décor and large picture windows. The en-suite master bath offers a tiled walk-in shower with glass block window. All your guests will find comfortable places to sleep as well; the first bedroom has a queen bed and the second has two twins, ideal for the kids. If you need even more sleeping space, the upstairs loft offers a queen sleeper sofa. The upstairs bedrooms share a guest bath with bathtub. Perfect your swing with a round or two of golf on the Club’s well-kept golf course, ideal for all experience levels. Cool off from the Florida heat in the Junior Olympic-sized swimming pool and spa or devour the latest best-seller on one of the sun loungers. You also have access to the Club’s tennis courts, fitness center and lake with beach area. Let the cook off for the night and enjoy dinner at the on-site restaurant and conversation and cocktails at the Club’s bar. If your trip to Orlando revolves around a special event, host your party in the Club’s elegant wedding and event facilities. Location, Location, Location! Hop in the car and in a few minutes you’re right at Mickey’s doorstep. All of the Disney parks, including the Magic Kingdom, Epcot Center, Hollywood Studios and Animal Kingdom, are close by and easy to get to. You’re also close to Universal Studios, Legoland and SeaWorld. If you're looking for the ocean it's approximately 1 hour by car to Cocoa Beach. All the fun in Orlando doesn’t just happen during the day; the downtown area has an active nightlife scene with bars, restaurants and clubs for the over-21 crowd.NO WORK TRUCKS ALLOWED OR VEHICLE WITH ADVERTISMENTS. TALK TO US ABOUT DIFFERENT LENGTH STAYS! 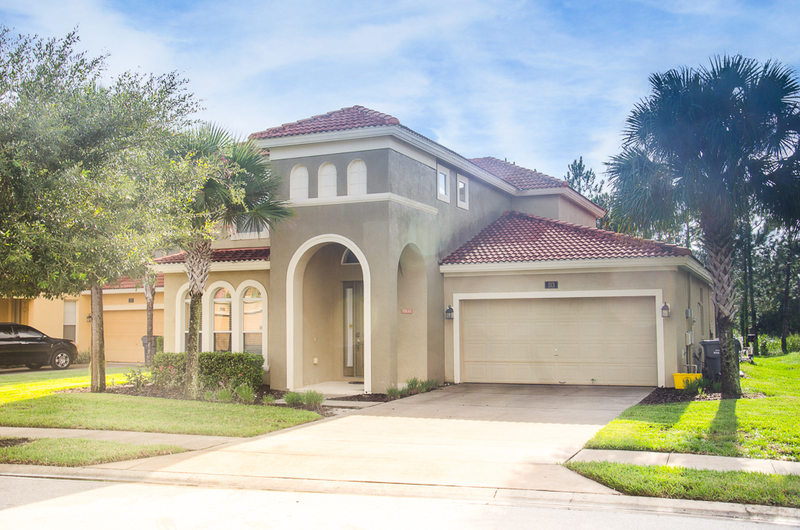 When you stay at our 6 bedroom, 6.5 bath villa in the Cypress Pointe Community just minutes from Disney, you’ll get the chance to experience the magic like a local. With convenient access to the theme parks and shopping outlets, you’ll never want to vacation anywhere else. 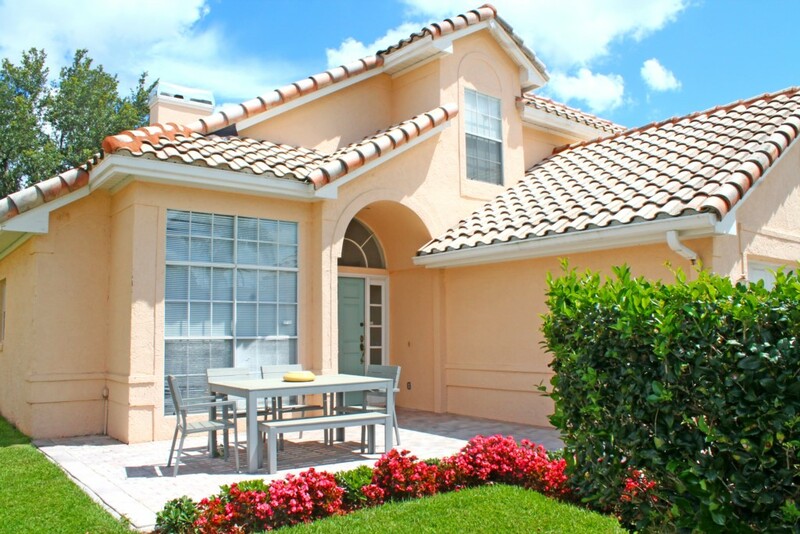 You’ll feel safe and secure in our 24-hour gated community. This a true home-away from home! 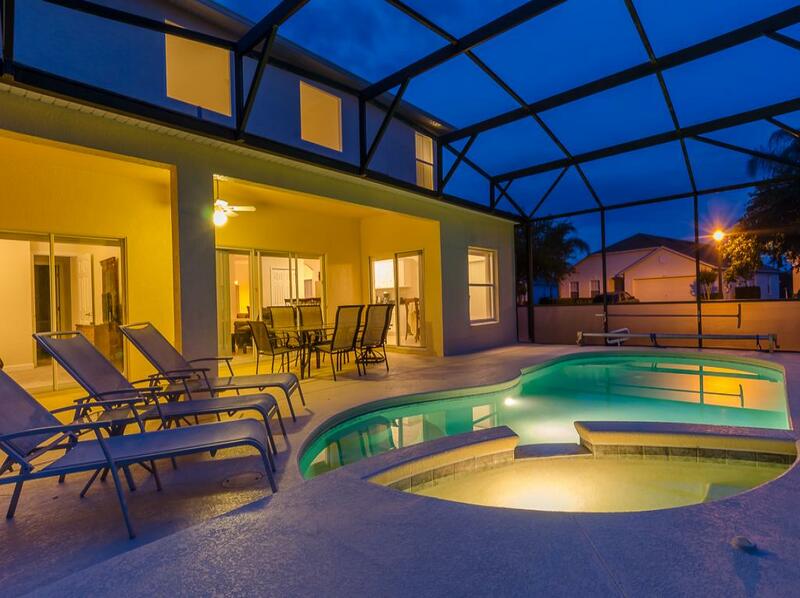 Ths GORGEOUS 5 BEDROOM VILLA is just minutes from the parks! 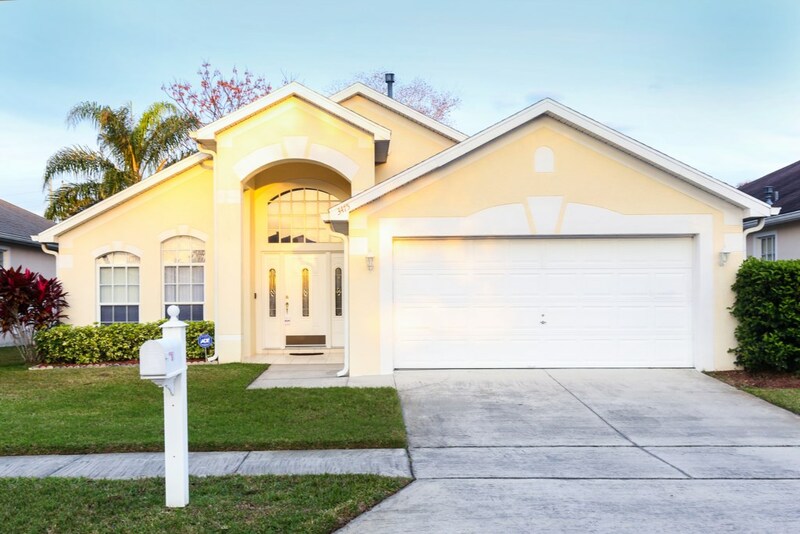 Cumbrian Lakes is a peaceful place to come home to, yet is so close to all the excitement of Walt Disney World® Resort and all of the attractions, shops and restaurants of Kissimmee and Orlando! A superb four bedroom three bathroom (two en-suite) villa with pool and spa situated in the prestigious gated community of “Solana”, fitted out to the highest standard. Resort facilities include large heated pool and spa, play area, gym mini-golf and much more you would expect from this quality resort. The spacious, rich and opulent family room offers upgraded furnishings with flat screen TVs, Dining area overlooking the pool and deck. A chef’s delight in with this well equipped kitchen with beautiful granite work tops. Two Master en-suite bedroom consisting of queen size beds and flat screen TVs. Double bedroom and bedroom with two twin beds. Well equipped kitchen with granite worktops. A games room for everyone with TV, pool table, foos ball and air hockey table. One of the highlights of Solana Resort is the fabulous Clubhouse with its resort size heated pool and spa. Surrounded by palm trees the pool area is a true oasis in the heart of Florida. The large colorful deck area has ample loungers and is perfect for unwinding in the Florida sunshine. If you have children and want to take a little break from the sun there are cabanas to give a little shade. You can take a dip in the inviting blue waters of the pool to cool off, or why not relax in the spa with a nice cold drink? If you feel a little more energetic there is a beach volleyball court and a recreation field if you wish to kick or throw a ball around or perhaps fly a kite with your children. If you want to do something a little more leisurely but just as fun, then on the other side of the pool is a brand new 18 hole mini-golf course to practice for playing on one of the many top-rated golf courses that are nearby. Alternatively, if you are a bit more adventurous there is the 'climbing ribbon' which is very popular with older children. We are also delighted to announce that the much anticipated brand new tot-lot is now fully installed and open for use and is a fantastic new addition to the resort facilities. Next to the pool is a picnic area with barbecues so you can bring your lunch down to the pool too or have dinner watching the fabulous sunsets that Solana enjoys. Inside the air-conditioned clubhouse there is a lovely large lounge area with a widescreen television which is perfect for relaxing out of the heat. If you want to burn off some energy there is a fantastic fitness room with all the popular equipment free for Solana guests use - cycling machines, running machines and multi-gym amongst others. There is a cybercafe for checking you e-mails, keeping in touch with home or work, or making plans for a day out and about at the theme parks or other many other attractions that are nearby. The clubhouse also offers free wireless internet access if you wish to use your own laptop either inside or out by the pool. For those that like arcade games there is a games room that has both popular modern arcade games along with a more traditional hockey game and pinball machines. Drinks and snacks can be purchased from the front desk and there is a concierge service with helpful advice to help you plan your days out at Walt Disney World, Seaworld, Universal Studios and the other theme parks. The friendly staff can also offer advice on nearby restaurants, shopping, golf courses or any other information that you may need to know. They are dedicated to helping guests with their vacation or conference needs. Some of the facilities that Solana Resort offers: •Gated Community •4000 sq ft Clubhouse •Tiki Bar •Resort sized swimming pool •Spa •Sand volleyball court •18 Hole Mini Golf Course •Recreation field (soccer pitch) •Cybercafe •Sundry Shop •Snack bar •Fitness room and gym •Luggage room •Concierge Service •Free wireless internet access. Brand new 'tot-lot' featuring swings, slides, ride-ons and activity play frame. A superb four bedroom three bathroom (two en-suite) villa with pool situated in the prestigious gated community of “Windsor Palms”, fitted out to the highest standard. Resort facilities include large heated pool, 2 floor water slide and spa, play area, gym mini-golf and much more you would expect from this quality resort. The spacious, rich and opulent family room offers upgraded furnishings with flat screen TVs and ample seating for all the family. Dining area overlooking the pool and deck. A chef’s delight in with this well equipped kitchen with beautiful granite worktops. Two Master en-suite bedroom consisting of king and queen size beds and flat screen TVs.2 Double bedroom and bedroom with two twin beds. Well equipped kitchen with granite work tops. A games room for everyone with TV, pool table, and air hockey table. 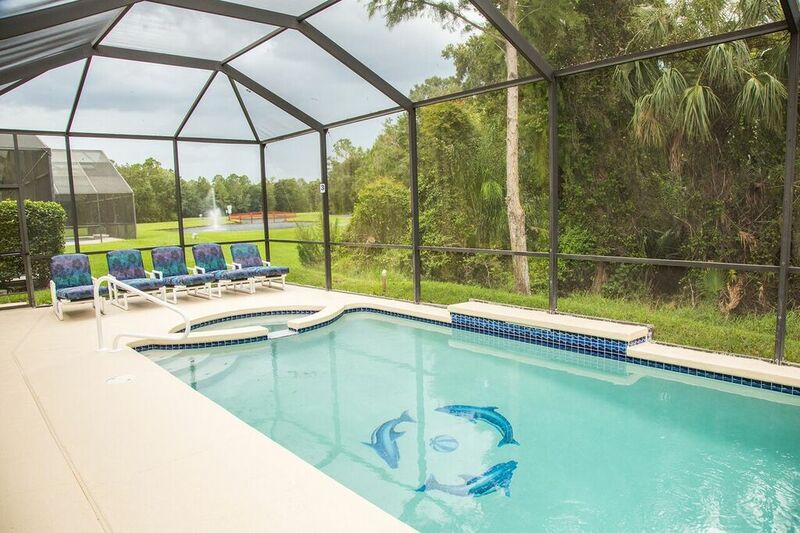 When you stay at our 3 bedroom, 2 bath villa in the Ventura Country Club, you’ll get the chance to experience Orlando like a local. With convenient access to the Orlando theme parks and downtown, and plenty of on-site community amenities, you’ll never want to vacation anywhere else. You’ll feel safe and secure in our 24-hour gated and manned neighborhood with activities galore. Property Amenities: Full-Size Appliances Breakfast Nook Gas Grill Free Wi-Fi Large Screen TVs Lanai A/C Washer and Dryer 2-Car Garage Whip up a meal for your hungry guests in the modern and updated kitchen complete with full-size appliances and bright and airy breakfast nook. Or, keep it simple by throwing some steaks on the outdoor gas grill as you watch your favorite shows. You can dine outside in the screened-in lanai or head inside to the six-person dining room table. Get together for a game night or movie marathon in the great room with the large screen, 55” TV and cozy sofas. Fun is the name of the game in Orlando, but if you do need to get some work done, the house has free Wi-Fi. Other convenient amenities include A/C and washer and dryer. Rest up in the spacious master bedroom that boasts a king bed, modern décor and large picture windows. The en-suite master bath offers a tiled walk-in shower with glass block window. All your guests will find comfortable places to sleep as well; the guest bedrooms have twins, ideal for the kids. The second bathroom is conveniently situated between the guest bedrooms and features a tub and shower combo. Perfect your swing with a round or two of golf on the Club’s well-kept golf course, ideal for all experience levels. Cool off from the Florida heat in the Junior Olympic-sized swimming pool and spa or devour the latest best-seller on one of the sun loungers. You also have access to the Club’s tennis courts, fitness center and lake with beach area. Let the cook off for the night and enjoy dinner at the on-site restaurant and conversation and cocktails at the Club’s bar. If your trip to Orlando revolves around a special event, host your party in the Club’s elegant wedding and event facilities. Location, Location, Location! Hop in the car and in a few minutes you’re right at Mickey’s doorstep. All of the Disney parks, including the Magic Kingdom, Epcot Center, Hollywood Studios and Animal Kingdom, are close by and easy to get to. You’re also close to Universal Studios, Legoland and SeaWorld. If you're looking for the ocean it's approximately 1 hour by car to Cocoa Beach. All the fun in Orlando doesn’t just happen during the day; the downtown area has an active nightlife scene with bars, restaurants and clubs for the over-21 crowd. TALK TO US ABOUT DIFFERENT LENGTH STAYS! This beautiful 3 bedroom 2 bathroom private pool home is nestled inside the gates of the Ventura Country Club. Enjoy all the amenities this property has to offer, have a dinner party in your formal dinning room and relax in one of the two living room spaces. 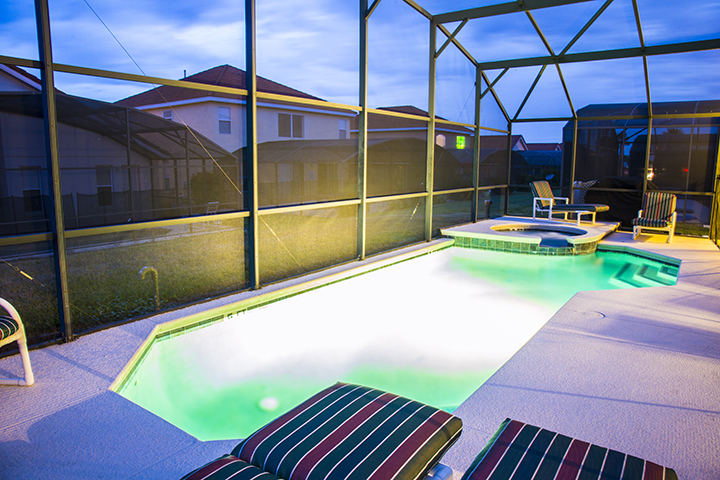 This property also offers you a screened in patio with loungers to soak up the Florida sun. You will enoy a 500+ acre gated golf resort community featuring a beautiful clubhouse with a restaraunt and bar,meeting space and gym facility. This gated community also features an 18 hole golf course, pro-shop, lake with sandy beach front including a picnic area, tennis courts and much more! TALK TO US ABOUT DIFFERENT LENGTH STAYS! 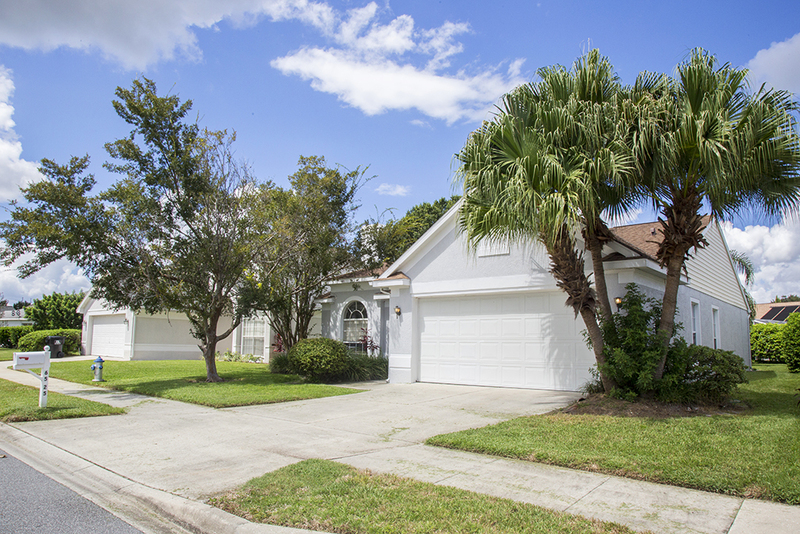 Whether you’re looking for the typical Orlando theme-park vacation or want a quiet and tranquil getaway, the Dover Cove 3 bedroom, 2 bath villa in the heart of Ventura Country Club is a good choice. You’re only minutes away from the excitement of downtown Orlando and its attractions, but also have plenty to keep you entertained back at the Club. You’ll feel safe and secure thanks to 24-hour security in the gated neighborhood. Club Amenities: 24-Hour Manned and Gated Community Golf Course Restaurant and Bar Junior Olympic Swimming Pool and Spa Banquet and Event Facilities Property Amenities: Wi-Fi Full-Size Appliances Washer and Dryer DVD Player Paved Parking Start your day with a hearty breakfast, prepared in the fully-furnished kitchen complete with full-size appliances, an eat-in breakfast area for four and large windows overlooking the back yard. The formal dining room has room for six and is a great place to gather for meals and good conversation. Finish your days unwinding in the family room with two couches, TV and DVD player. 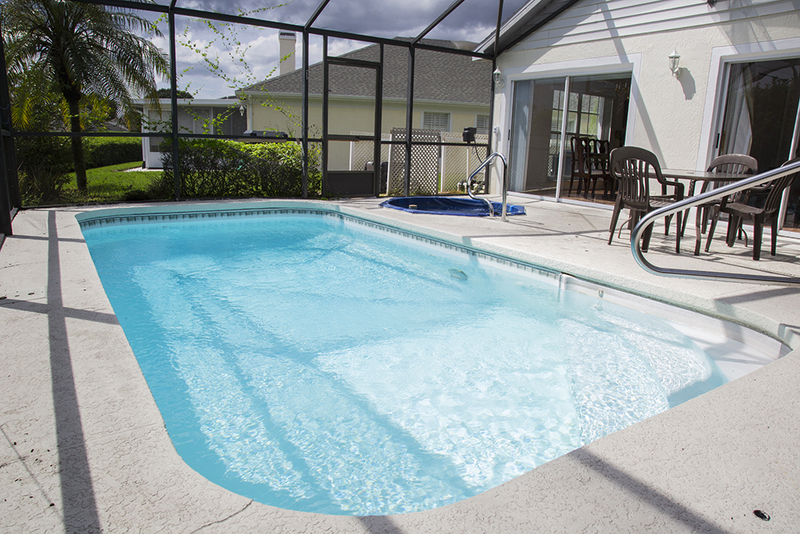 Your time in Orlando should be relaxing and help you disconnect, but if you do need to reach out to the outside world, the villa is equipped with Wi-Fi. Other convenient amenities include air-conditioning and washer and dryer. When you're ready for sleep, sink into the king bed found in the spacious master bedroom. Getting ready the next morning is a pleasure in the en-suite master bath with shower/tub combination. Ideal for the kids or additional guests, the two other bedrooms each have two twin beds and share a guest bath with shower/tub combo. Perfect your swing with a round or two of golf on the Club’s well-kept golf course, ideal for all experience levels. Cool off from the Florida heat in the Junior Olympic-sized swimming pool and spa or devour the latest best-seller on one of the sun loungers. You also have access to the Club’s tennis courts, fitness center and lake with beach area. Let the cook off for the night and enjoy dinner at the on-site restaurant and conversation and cocktails at the Club’s bar. If your trip to Orlando revolves around a special event, host your party in the Club’s elegant wedding and event facilities. Location, Location, Location! Hop in the car and in a few minutes you’re right at Mickey’s doorstep. All of the Disney parks, including the Magic Kingdom, Epcot Center, Hollywood Studios and Animal Kingdom, are close by and easy to get to. You’re also close to Universal Studios, Legoland and SeaWorld. If you're looking for the ocean it's approximately 1 hour by car to Cocoa Beach. All the fun in Orlando doesn’t just happen during the day; the downtown area has an active nightlife scene with bars, restaurants and clubs for the over-21 crowd. TALK TO US ABOUT DIFFERENT LENGTH STAYS!